Last Wednesday we decided to dismantle Indie's cot and put together her first ever big girl bed. We knew she was ready because she has been sleeping through the night for a long time now and at naptime and bedtime she would grab her elephant and run to her cot very happily. She turns 16 months next week so we just felt the time was right. 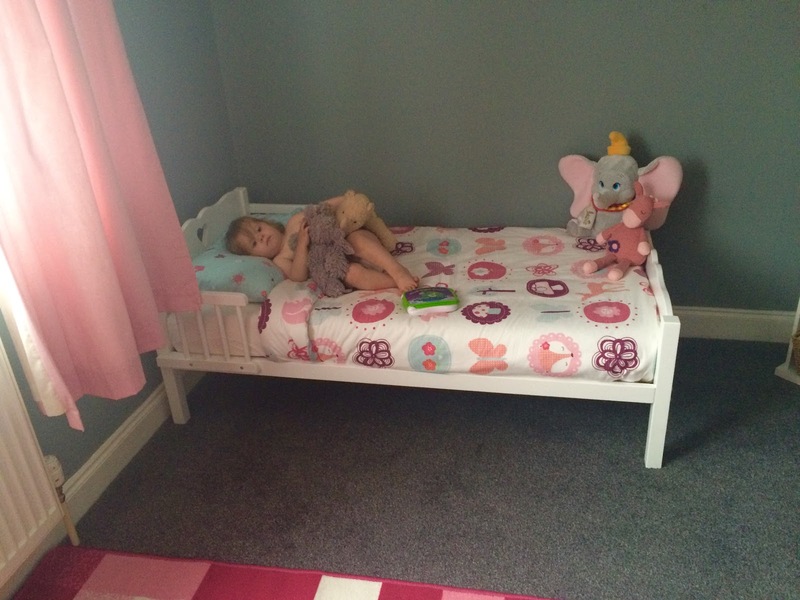 We chose this bed from Saplings Cot Specialist which was really simple to put together. After a few weeks of use I am thinking about writing a little review on it because when doing my research before buying there wasn't anything I could find to read up on and I am very impressed with the quality of it. As soon as we put the bed in her room she jumped right in and laid down. We encouraged her to play around and get used to it before bedtime. 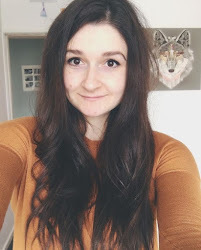 Her bedroom looks so different now. It's no longer a nursery and has definitely transformed into a proper little girls room. When talking to Indie, I refer to it as her 'big girl bed' and am hoping that she starts to recognise what it means and realises that we are now putting more trust in her to stay in bed. For her first night we decided to keep her routine exactly the same apart from we put her to bed an hour later than usual, hoping to make sure she was a little more sleepy. At bedtime we settled her, she drank her milk, we gave her a dummy and said goodnight. For about an hour she kept coming to the stairgate at her bedroom door. We left her for a few minutes and then put her back to bed and said goodnight. She came back to the gate numerous times during the hour and we continued to leave her for a few minutes before putting her back to bed (so she realised we wouldn't constantly come running) and after an hour she was sound asleep. She slept brilliantly and apart from rolling out of bed once during the night she didn't wake at all. We rolled a little pillow up under her fitted sheet to stop her rolling out again and she hasn't woke up at all during the night since. The next two nights went really well. She took about 20 minutes to settle on the second night and then last night she was asleep within 5 minutes. I definitely think the later bedtime is helping with this. Naptimes have also been going really well. Again, I have been putting her down for her nap a little later than usual to make sure she is sleepy and therefore more likely to settle quicker. We really want her transition from cot to bed to be a positive one so are doing everything we can think of to make it a good experience. 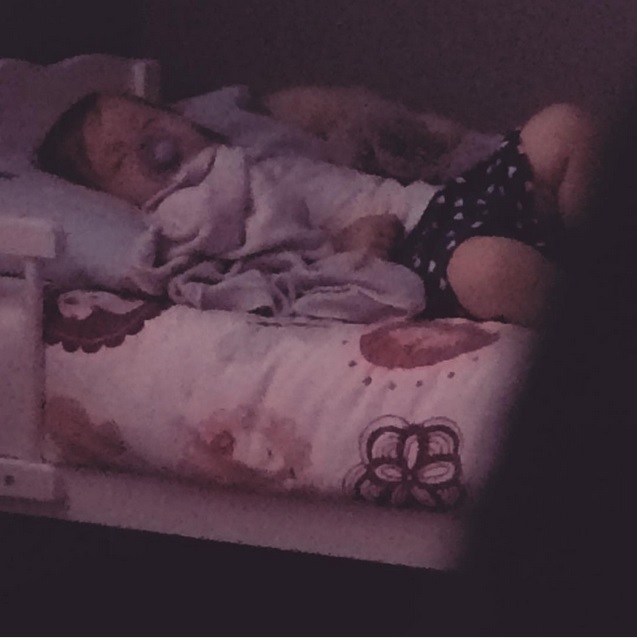 I managed to get a very blurry picture of her through the crack of the door during her first ever nap in her bed. She's doing so well. At what age did you move your little one's into a toddler bed?